When Should You Get New Tires? Your tires are your connection to the road, and one of the main things keeping you safe while driving. As such, it is an extremely important practice to check up on the tread of your tires whenever you think of it. There are several different ways that you can tell when it is time to get your tires changed. One of the visual ways you can tell is by looking at the treads. If the “thread wear bars” between the treads are even with the tread on your tires, it’s time for a new set. Another way to know is if the threads are worn down to less than a 1/16th of an inch (as measured by a tire depth gauge). And finally, you know it’s time for new tires if there are visible cracks in the sidewalls of the tire. What are the Benefits of Having New Tires? When you get a new set of tires, you can feel the difference. These differences manifest themselves in the ability to take turns easier, stop in a shorter amount of time, and to even get better gas mileage! What? An improvement on gas mileage because of new tires? How does this happen? Tires that have worn down threads have less grip on the road, and they have to work harder when accelerating up to the desired speed of the driver. New tires can help the driver get up to speed more efficiently with their superior grip on the threads. The effects of having new tires can be felt for between 65,000 and 100,000 miles for most vehicles; however, the mileage will vary depending on how you drive your vehicle, the environment the vehicle is in, and the model of vehicle that you have. One of the main takeaways, though, is that your tires are a huge player in keeping you safe on the road. Let your tires keep you and your passengers as safe as possible while also saving you some money in the long-run by getting a new set of tires when you need them. When you need a new set of tires, then make sure to check out our service center inventory for some top-quality tires. 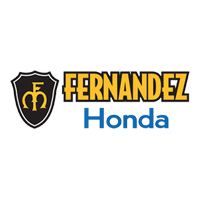 We have several varieties of tires here at Fernandez Honda in San Antonio, TX to fit with your vehicle and budget. We are also dedicated to getting you the best deal on a new set of tires with our service specials. So if you are in the San Antonio, New Braunfels, Austin, Houston or San Marcos areas, then come on by and visit us today! We are conveniently located at 8015 IH 35 S., San Antonio, San Antonio 78224. Give us a call anytime at (210) 253-8500 with any questions! Schedule your tire service or replacement online now!